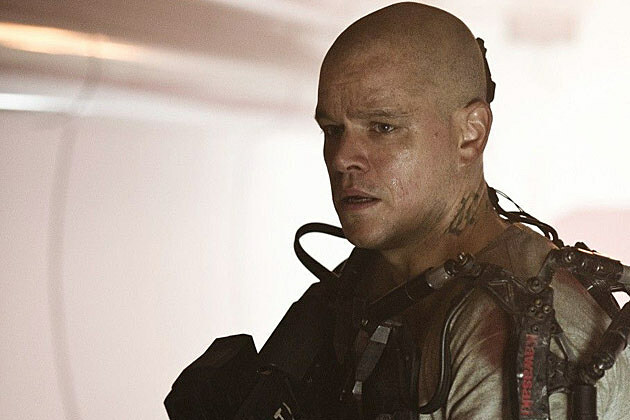 Neill Blomkamp, the co-writer and director of the phenomenal District 9, is working on the sci-fi movie Elysium starring Matt Damon. Elysium is set in a futuristic society divided into two classes – the wealthy who live in pristine space stations and the lower class who are left to live on the polluted and dying Earth. A man named Max (Matt Damon) takes on a mission to bring equality back to humanity. The villain will be played by Jodie Foster and the supporting cast includes Sharto Copley (District 9, The A-Team) and Alice Braga (Predators, Repo Men). I don’t know how I missed this. I loved District 9 and this movie sounds right up my alley. Today, Sony released the below image of Damon’s character in Elysium. It looks good so far, but we still have a long wait. Elysium is scheduled for release in August 2013. I am Matt Damon of Borg.